When Styx split, both Tommy Shaw and Dennis DeYoung were quick to release solo albums. All we had to judge them by was their new singles. Dennis came out of the gates with a ballad (“Desert Moon”). As 12 year old kids in 1984, we took no interest in what Dennis was doing. 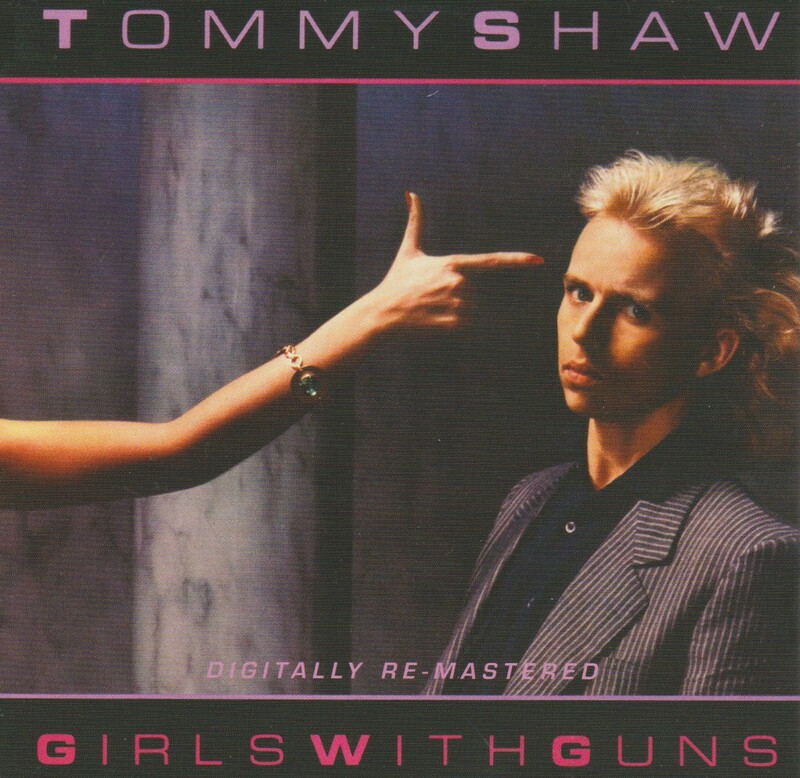 Tommy Shaw, on the other hand, had a bright pop rocker called “Girls With Guns”. It was loud, fun and featured a great music video all done in a single take. Neither song sounded like Styx, but “Girls With Guns” sounded more like what we were into. Dennis’ album outsold Tommy’s, but Tommy’s rocks better. The title track is of course the main feature. Dated with 80s keyboards or not, it is still a great song. This was proven by Tommy when he performed it acoustically without the keys. It’s just rock with joy, and a great beat. “Come In and Explain” has a progressive Styx vibe and easily could have worked in that context. Instead, it’s a great Tommy Shaw solo track. It has a blue collar groove but highbrow keyboards. Another great song is the ballad “Lonely School”. It has a classic sound, albeit a cheesy classic sound. The album alternates between cool and corny, and some songs that straddle the line. There’s nothing dreadful. This CD was a “holy grail” item of mine for years, but was reissued in 2013 as a remastered double CD with Shaw’s second album What If. The CD also features two extended songs, presumably because vinyl couldn’t hold the full length. Glad to have Girls With Guns in my collection, though I won’t be racing to play it every week. You made me go back and re-read what I had to say about this album. Our thoughts were pretty much alike. I give you credit Mikey as back in 1984 I did not give a crap what either of these guys were doing to be totally honest with you! He did. And coming up soon, I have an interview with Damn Yankees from 1990 where this subject actually comes up! Nice. You’ve been on fire lately man! Loving the VHS find. At the time, I was recording this stuff just for me. When Youtube came along I said “Oh man, I know just what Youtube needs!” And a lot of this stuff is exclusive. Hahaha “Thanks for coming… I hope you brought enough…” “Well, we’ll share.” Haha meanwhile there’s about ten other candies in the hopper. Love it. That was all one take? Damn.